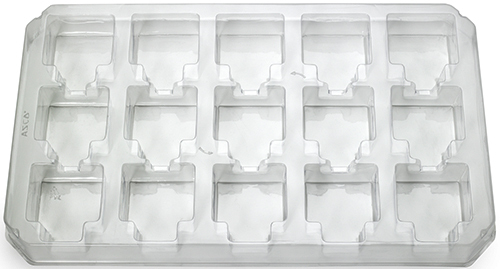 Thermoformed packaging trays can be as simple as an opened, flat-bottom tray or designed and formed to specific shapes for containing individual items. By definition, a tray helps to contain or transport items and this applies to the industrial sector as well as to consumer goods. Using in-process trays, an industrial component is stored and transported through an assembly line. 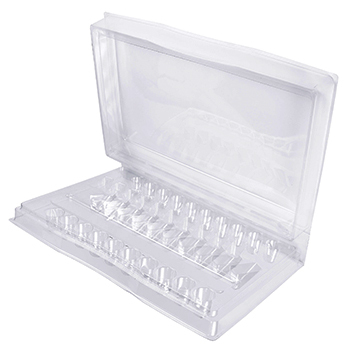 Shipping or packaging trays fit and secure delicate products on the way to retail shelves. Often a tray can serve a dual purpose, saving time and money. To learn more about different types of thermoformed products, click the links or images below. Thermoforming is a process of heating thermoplastic sheet and placing it over a mold until cooled. The thickness of the material determines whether the manufacturing process uses rolled sheets (thin gauge) or pre-cut stacked sheets (heavy gauge). 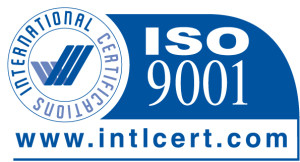 Thin gauge material is dominant in the disposable packaging sector, especially in the retail markets. Heavy or thick gauge material is commonly used as permanent components in such things as refrigerators, automobiles and spas to name a few. To learn more about the plastic thermoforming process, click here. PVC, PETG, and PET are the most commonly used thermoforming materials. 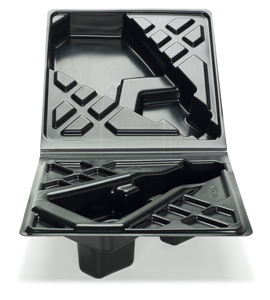 Read about the benefits of thermoforming trays and containers. 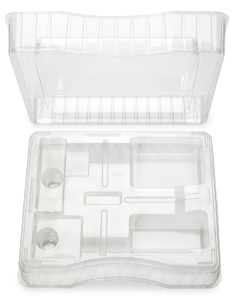 Note: When a custom design is not required our VisiPak Division provides many standard clamshells, stocked for immediate shipment. Visit the VisiPak online store for a list of sizes.